We're obsessed with this new iced tea: peach puree and our fresh Harney and Sons black iced tea, shaken. 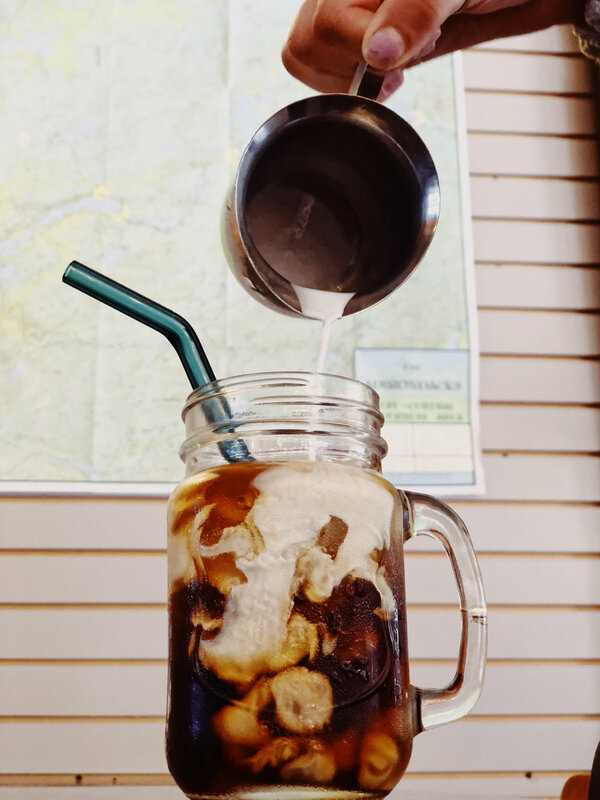 New this summer, our Adirondack Style Cold Brew starts with our organic fair trade cold brew coffee (steeped cold, creating a less acidic and more digestion friendly coffee), combined with a salted caramel sweet cream. We recently introduced fresh squeezed lemonade, and it's a hit! Add lavender, and you have the most refreshing summer drink. Our homemade cold brew infused with nitrogen comes out of the tap velvety and smooth. Add creamy vanilla bean ice cream, and you have the best of both worlds. 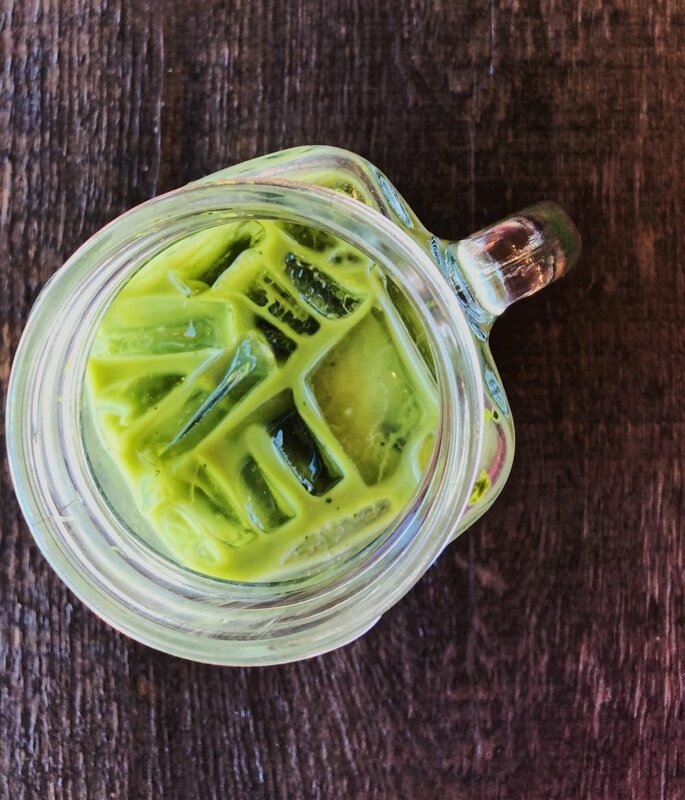 Matcha green tea is great for your health: it's high in antioxidants and is shown to boost your brain function and even fight cancer. Try it hot and frothy, or over ice. For an extra flavor boost? Ask for added ginger. Want it a little sweeter? Ask for some added vanilla. 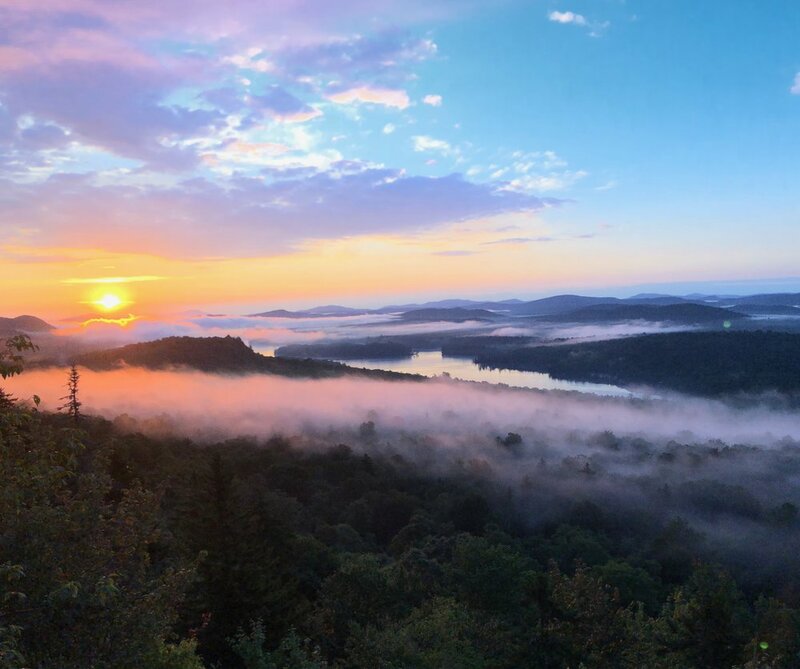 The Central Adirondack Park is filled with so many small trips that you don't have to commit the whole day to. Although the list could go on forever, here are a few of my favorites! Rocky Mountain is an Inlet classic, but hiking it for sunset is a game-changer! The view looks directly to the West, which makes for amazing summer sunset views. Make sure to head up plenty of time before sunset (I'd recommend 30-40 minutes) to get the full effect. Ferd's Bog is a hidden gem, located about 3.75 miles down Uncas Road. Once you're there, a very short 5 minute walk will bring you into a serene area with a boardwalk surrounded by tall pines and wild-flowers. Sunrise may be early, but I promise the magic is worth it. 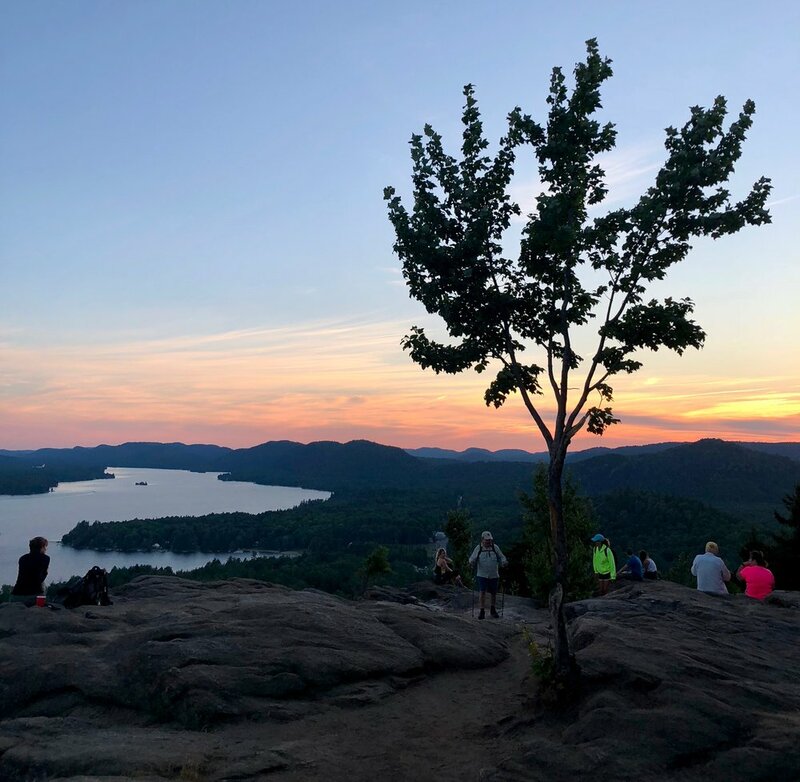 Bald Mountain's Fire Tower provides great views to the east, or there is an option to watch from small lookout about 1/4 mile from the top. Make sure the forecast is clear for the following morning to ensure the best views. I also recommend giving yourself ample time (at least 30 minutes before sunrise) to hike, and pack your headlamp, as the beginning of your ascent may be dark. 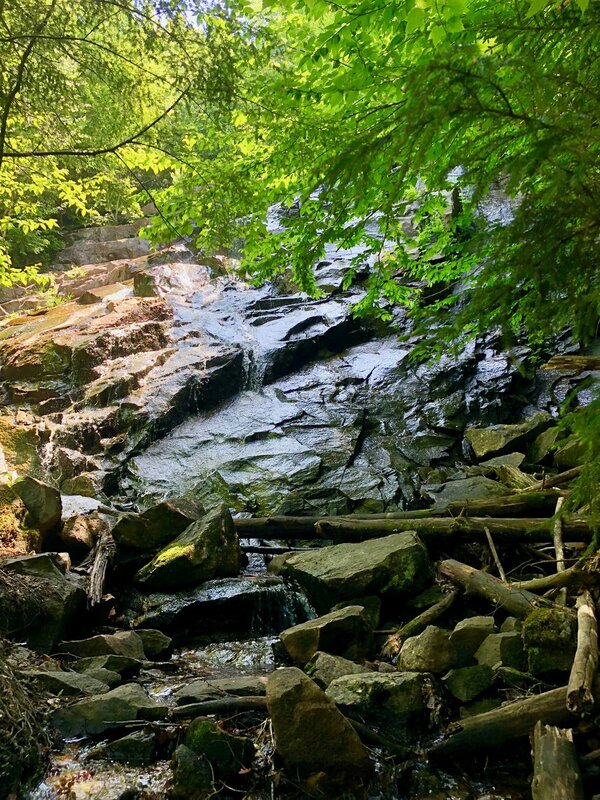 Death Falls is located in Raquette Lake, about 10 miles down Route 28 on the right hand side. You'll see a metal gate, and it is a very short (~5) walk in. I recommend catching the small but beautiful waterfall after a few days rain. It is a nice thinking spot and mildly trafficked. Bub and Sis Lakes are located just past Eagle Bay off of Route 28. It's an easy walking or trail running trail, and you can see both lakes. These non-motorized lakes are calm and peaceful and provide a great place to disconnect. 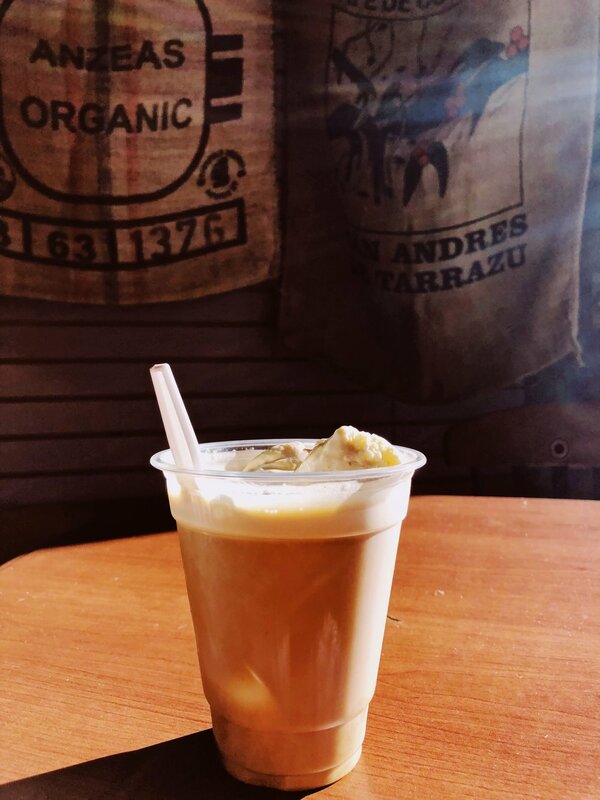 Follow our stories on Instagram, @bluelinecoffeehouse, to find out more places to explore in the area. Hours: Sunday - Wednesday 8 a.m. - 8 p.m, Thursday 8 a.m. - 10 p.m. (open mic night), Friday & Saturday 8 a.m. - 9 p.m.